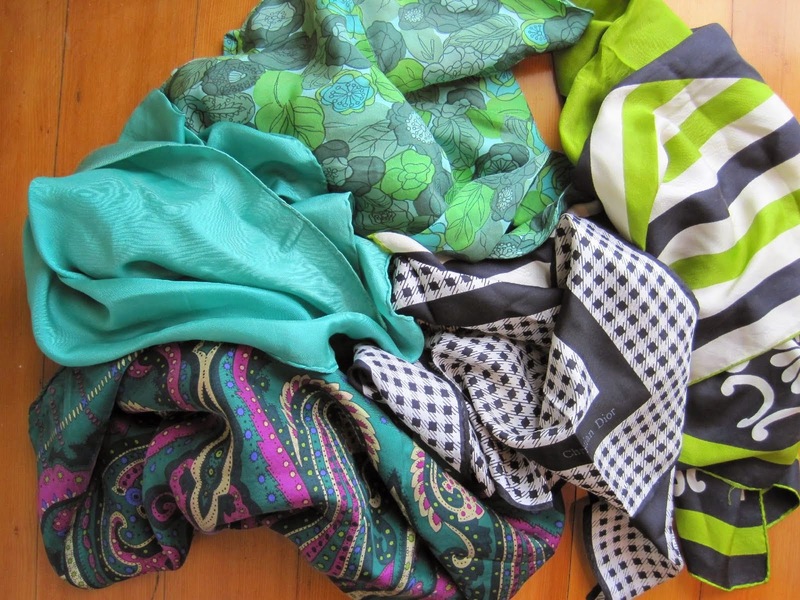 In the picture are some vintage scarves. I love how a scarf can give an outfit a lift. That little something to take an outfit from OK to all that! And as said so many times in this blog, the colours, fabrics and designs of vintage apparel are spectacularly beautiful. Vintage scarves are usually excellent value and an easy way to buy into some of the designer looks. Particularly older designers like Pucci. These scarves come from all over. I bought one in Portabello Road in London. Most of my travel souvenirs are items I can wear as opposed to dust collectors or ornaments. A far more practical way to be reminded of a special place. If you ask me?